Reports of a tsunami hitting South Iran on the internet appear to be incorrect, as no quake large or small has not been registered in the area yesterday. A magnitude 4.2 in Turkmenistan on the Northern Iranian border was recorded yesterday afternoon but that’s more than 2,000 miles away on the Caspian Sea. However large waves have been filmed smashing into the port city of Dayyer in the southern Iranian province of Bushehr where at least one person has lost his life and five others have gone missing. Search and relief operations were ongoing to establish the fate of the five missing with divers deployed to the scene. 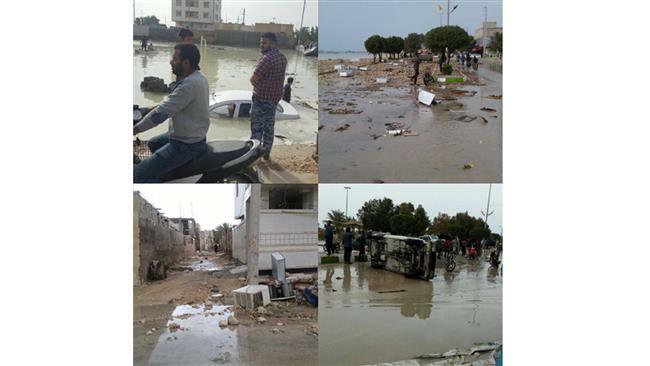 Deputy Interior Minister and Head of the National Disaster Management Organization Esmaeil Najjar told IRNA that the incident in Dayyer and Assaluyeh damaged several residential homes, boats and ships. He added that the waves were estimated to be more than three meters high. What caused the waves remains a mystery. Small scale undersea methane burst, temporarily raising sea level.